Oh my, what a week. There’s nothing like being out of the country to help you see the bigger picture of God’s work. Being with other believers in other parts of the world stretches your mind and your faith. Our part in the U.S. seems so insignificant. I realize that no one part of the body is more important than another and I certainly don’t mean to demean what you and I do in the place that God has planted us. I am just amazed and inspired by those believers who have picked up the cross of Christ and are displaying it prominently in a place where there is resistance and even open persecution. Yesterday we made our way to a small village about 2 hours north of Quito called Otovalo. Just outside of Otovalo lives Luz Mila whose name means Light and Honey. Trust me whenever I say that she is both of these. She is an amazing young lady of 34 years who established and is leading a congregation in her village. We had tried to contact her several times since we were in the area but had not been successful. Finally, we simply drove the cobblestone streets to her house and pounded on her door/gate. No answer. After several minutes, Renee called her cell phone and finally she answered. She apologized that she had not heard the phone earlier but explained that she had been praying all morning and didn’t want the phone to interrupt. Her prayers had been for help as she did not know how she would make it any more at the church. She ministers to many children and needed clothes for them and money for her school and other things in her life and at her congregation. She was at her wit’s end. Renee told her we were at her house and she did not believe it. “You are here? At my house?” she asked. “Yes, we are at your front door.” Renee replied. She was ecstatic. This was not the first time that God had, in an unexpected way, answered her specific prayer of the day. A lovely gringa and two big, ugly gringo men carrying gifts don’t show up at her house every day. Since the gifts and the money were a direct answer to her prayer, she couldn’t see any reason not to allow James and me in. Just joking, she was wonderfully gracious and could not believe her eyes. She and her mother Laura (who I instantly loved simply because of her name), welcomed us into the courtyard of her home. They are Kechewa(?) Indians and her mother was dressed in the traditional garb. She was warm and beautiful. Neither of them were much more than 4 feet tall but they were full of fire, love and courage. Laura accompanied me back to the truck so that she could shew off the perros (dogs) with her broom while I retrieved my camera. Those perros did not mess with Laura. The courtyard and home was also beautiful in it’s own right. It did not look like an American home by any means but did have a wall and a gate and a courtyard with a garden and dogs and chickens running everywhere. She laughed all the way to her little “house” and welcomed us into it. We gave her the trunk of goodies the congregation at CCF had donated and also gave her $40 in cash for her use in any way she saw fit. She and her mother were overwhelmed with joy and fought back the tears. They honestly felt that they were the recipients of the blessing, yet James and I knew that we were the ones who were receiving the blessing. We choked on our tears as they gave us handfuls of handmade bracelets, three handmade scarves and a hand knitted toboggan. We were overcome with emotion and blessed immensely. Even now, the tears well up as I think of the experience. The resistance to Luzmila’s work comes from the president of the village whose dad is the town witch doctor. He hates the church and also anything that has anything to do with gringos; i.e. you and me. They liken the Christian gringos to the Spanish Conquistadors. The one glaring difference, however, is that, at least in this instance, the Christian gringos have done nothing but give and help. I don’t think the Conquistadors can be accused of the same. She is often threatened and she spoke of her fear. This, along with her needs, was why she and her mother were in prayer all morning. What a blessing it was to be able to directly participate in an answered prayer in an amazing young lady’s life. The leaders of the town, two of which are witches, often inspect her building and make up reasons for why she must close it. In effect they say that it does not meet some requirement and that it must be closed. She never falters and never submits to their tactics. The building remains open. Her faith and courage are nothing short of amazing. This woman of nothing more than 4 ft stands like a giant. James and I were both deeply moved. 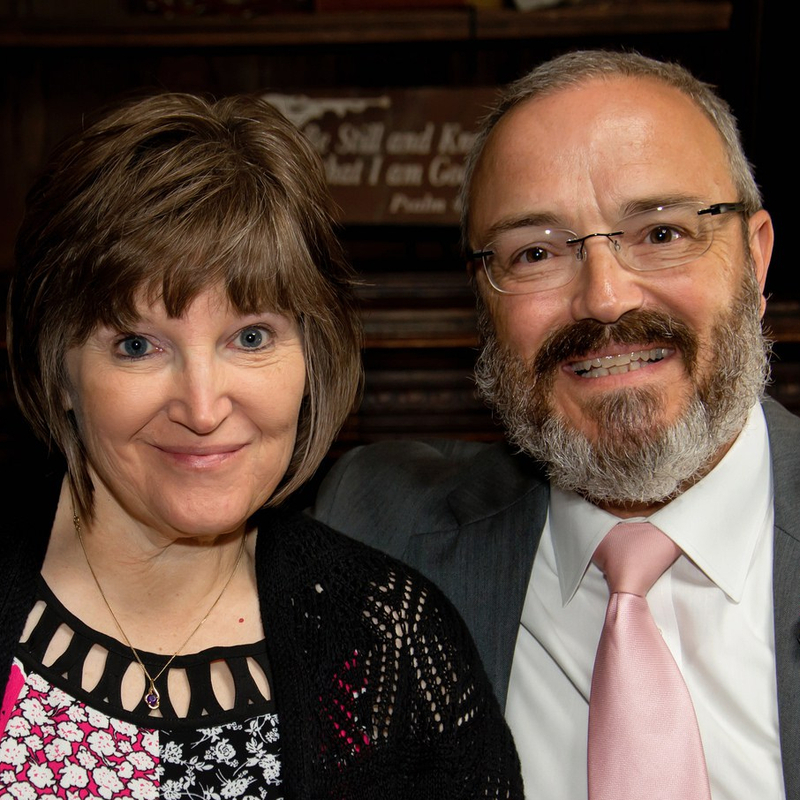 I was at a loss for words as I often have been this week; however, James was able to pass along a blessing to her and encouragement and strength from the Word. I could go on and on about Luz Mila. She is an amazing woman of God who is leading in faith and courage in an area where there is dangerous resistance and very little encouragement. This little congregation is salt and light in an area that needs the flavor and preservation of God. 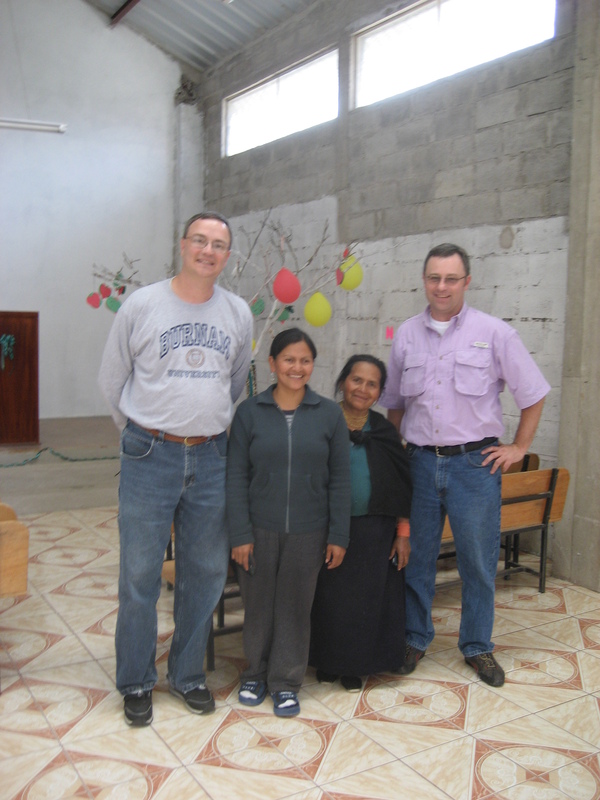 She rode with us to Quito where she is almost finished with her degree at the seminary there. Rick and Renee have been able to help her with tuition and she has excelled as a student. Why am I not surprised. If you had met Luzmila, Laura and Danielle you also would have been moved by their love and strengthened and encouraged by their faith and courage. They are truly encouragers because they infuse courage into those who are around them. The power of God in a woman of faith is awesome. Every day Luzmila demonstrates the sweetness and illumination of Christ in a bitter, dark place. She is light and honey. I urge you, sincerely urge you to pray specifically for her, her congregation, her mother, Laura, her sister, Danielle and for the children. Pray against the dark forces that stalk her. Pray that God will continue to advance His kingdom in this unlikely place with this daughter of His. I thank you all with my whole heart for whatever part you have played in this journey. My heart is full. My faith has been stretched. My head is spinning, as it always does at this point in trips like this. The blessing is mine and it is more than I can process. The tears are poised to fall at any moment. May the huge God who made all of the wonder of our world and who raises up strong believers in difficult places bless all of you with a renewed love for Him and for His kingdom. He is worthy to receive all praise. P.S. On a side note, James’ name in Spanish is beautiful and majestic: Santiago. You know. just like the apostle. My name, on the other hand, doesn’t translate. What a surprise as much of my being doesn’t translate. They giggle each time I am introduced thinking that my name is Window as many of them do know a few words of English and even if they don’t, my dear English comrades often point to the window and laugh. The tall, lanky gringo whose name is Window. Maybe, just maybe it isn’t so bad, if in some way I can be a window to the grace and glory of God. With that I would be satisfied and thankful.